Muddy says: Powder & Magazine is a casual gastro dining restaurant for food and drink lovers and Rochester’s new hidden gem. 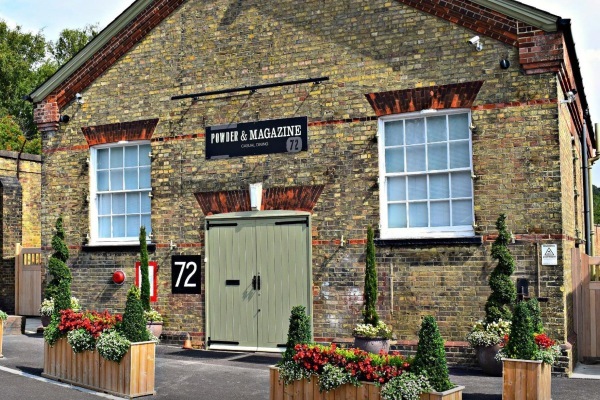 You’ll love the cool historic setting of Powder & Magazine a new casual gastro dining restaurant in the old Royal Navy Ordnance Depot (think funky, high-ceiling warehouse). The former depot was once used to store and prepare munitions for the naval ships laid up on the River Medway at Chatham from the late 17th century. These days, it’s a little bit different. 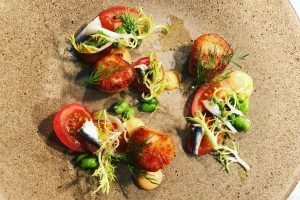 Building 72 has been transformed into an exciting and buzzy restaurant that combines a rustic, casual atmosphere with excellent modern cooking. There’s a selection of menus including A La Carte, Sunday lunch and bunch menu. The extensive drinks list is one for the wine lover. And this buzzy new addition to Rochester has already secured the Diner’s Choice Award from Open Table in 2018. 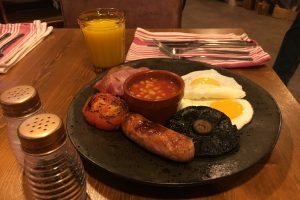 As well as serving delicious food in the restaurant, they also have a small in-house Artisan Shop that stocks local produce. Including Upnor Castle honey and carpentry items made by local craftsman, Eric Vine. 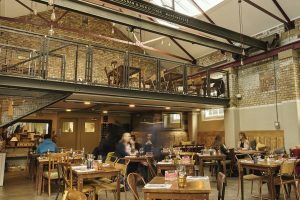 Don’t miss their live music events, comedy nights and even cookery courses. Or ‘2 courses for £14’ available every Tuesday through to Saturday. Or Cocktail Thursday! Where cocktails are only £6 each.